Home » News » Donate to support David’s fundraising swim! 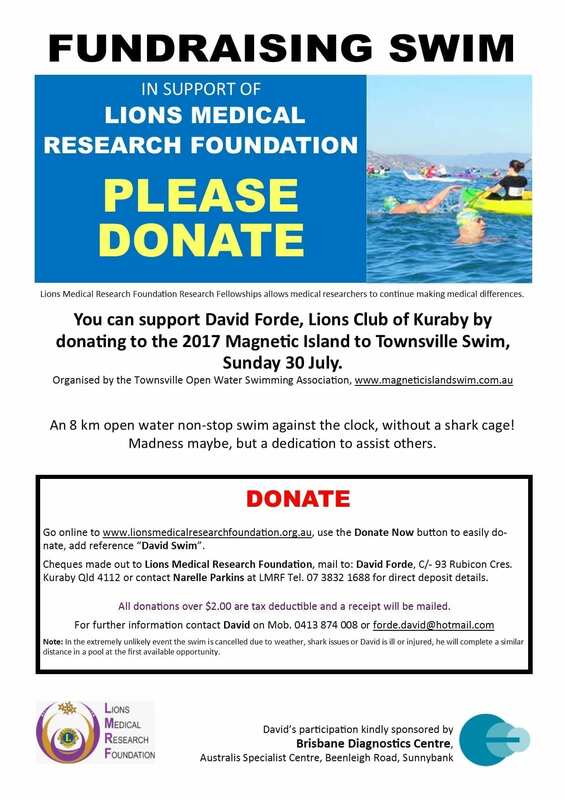 Donate to support David’s fundraising swim! 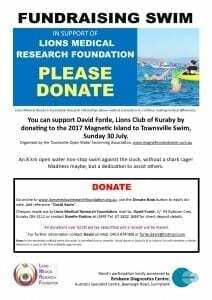 You can support David Forde, Lions Club of Kuraby by donating to the 2017 Magnetic Island to Townsville Swim, Sunday 30 July. Please donate for a great cause.